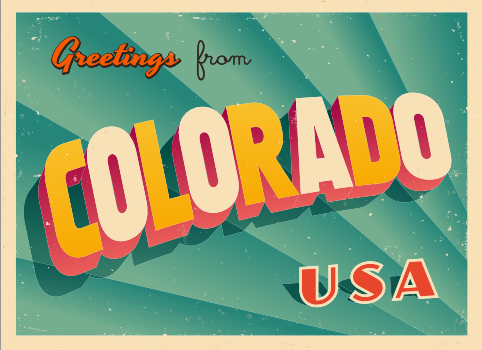 Editor's note: Colorado has enticed all sorts of pioneers since its Wild West beginnings. Over the next few weeks, we'll highlight a handful of these trailblazers - the intrepid entrepreneurs, aspiring micro-brewers and ambitious thought leaders - who have helped create the adventurous and innovative culture the Centennial State is known for. I was raised in the cornfields of Illinois, but I call the foothills of the Rockies in Boulder, Colorado my home. I've lived here with my family for the last 15 years and can't imagine being anywhere else - I can't think of another place that combines my love of the outdoors with a culture of innovation and technology. And it doesn't hurt that it all happens with a set of gorgeous snow-capped peaks right outside the window. I joined Google’s Boulder office seven years ago, right after Google acquired Writely, which is the program that would become Google Docs. The first Google office in Boulder was a small space above the Starbucks on Pearl Street Mall - the 800 yard walk from my front door to work was a major perk. Since then, the Google Drive team has grown to about 50 people, the Boulder office now calls 250 employees its own, and together we all sit at a new office at 26th and Pearl. It’s been fun being part of the Google Docs team, and now Google Drive team, as it has taken off. I remember showing my daughters Google Docs back in the early days and now both their schools use Google Docs as a part of Google Apps for Education at Boulder High and CU Boulder. Even though the Drive team is still growing rapidly, it’s a close knit group - over half of our team members have been here at least 3 years. California’s Silicon Valley and New York’s Silicon Alley may be the two hubs that come to mind when thinking about innovation hotspots, but it’s actually Boulder that is home to the highest number of tech startups per capita. Colorado has a unique ecosystem that fuels and funds innovation. Promising startups don’t have to look far to find people and organizations willing to provide mentorship and funding. Techstars, one of the world's leading accelerators, was born in Boulder in 2006, and has nurtured a strong community of graduates in the area that supports each other in their entrepreneurial endeavors, along with an equally strong network of local mentors. The fact that innovation touches nearly every industry here isn’t a coincidence. The state of Colorado itself leads by example. Last year, the Governor’s Office of Information Technology announced it had gone Google to better align with its priorities: customer success, innovation, information security, people, service excellence, and trusted partnerships. The shift to Google Apps for Government is helping state workers communicate and collaborate more effectively while keeping Colorado at the forefront of innovation. Over the next month, we’ll be highlighting some of the people and businesses that make Colorado an inspiring place to live. We’ll also show how local leaders are embracing cool technology - like Google Apps - to make it all happen. Because it’s pioneers like them whose work behind the scenes (and desks) help drive the culture and innovation across the state that people like me are so proud to call home.